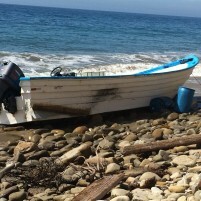 Authorities arrested two Riverside area men Monday after a panga boat beached in Santa Barbara County. 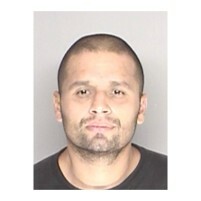 Law enforcement personnel found the panga at San Onofre Beach within the Gaviota State Park. A resident first noticed the boat around 9 a.m. when he was walking his dog on a trail above the beach. Santa Barbara County Sheriff’s deputies, state parks personnel, a Coast Guard helicopter and Santa Barbara County Air support responded to the scene. The panga was a twin-engine drug smuggling boat, approximately 30 feet in length, according to the Santa Barbara sheriff’s office. Responders found one marijuana bale inside the boat and another nearby. There were fuel barrels inside the boat and in the water. The occupants of the boat left items strewn about the area, according to the sheriff’s office. Authorities located two male suspects in the area and detained them. 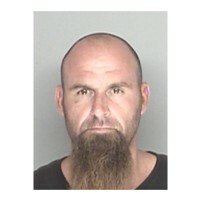 Officers charged Francisco Soltero, 32, and James Pierce, 38, Soltero with possession, transportation and sales of marijuana, as well as being under the influence of a controlled substance and booked them into the Santa Barbara County Jail. The Department of Homeland Security is conducting a joint investigation with the sheriff’s office. Homeland Security investigators took possession of the panga. NO ONE is smuggling marijuana from Mexico or anywhere else using panga boats. These are setups, where the cartels are being allowed to smuggle heroin in, and then after it is offloaded, law enforcement swoops in and the patsies are picked up with bails of marijuana that no one wants. What are they going to do? Complain to the judge that they were set-up and that they were actually smuggling heroin? Not likely. Law enforcement gets the busts, which also provides them additional material for justification on grant applications. Some grant money ultimately goes to equipment the department claims it needs, but most goes directly to the LEO’s via inflated overtime. Cartel gets its shipment through and throws some troublesome idiots under the bus. It’s all nice and clean and legal. No personnel are directly involved in any questionable interactions or transactions, all evidence is accounted for, all money is clean and accounted for, and no one can prove anything. “The Department of Homeland Security is conducting a joint investigation with the sheriff’s office. ” – this ensures the overtime for the locals gets funded. All we have to do is wait until the Chumash Heritage National Marine Sanctuary has been established. The panga boat operators wouldn’t dare to trespass there. Neither of these guys look like they have or could last in the sun. The shipping lane must be launching these pangas. Are we helpless with international waters fronting a 1700 mile wide open door? Try sat viewing followed by heavily armed drones! Try just ending the drug war which doesn’t work, and creates crime, violence, and corruption.